While having a Spring clean of my garage last week I came across a bag of driftwood scraps from projects like my driftwood seahorse and pair of driftwood fish. There is nothing like a bag of junk to get the old creative juices flowing …just look what I conjured up! Start by painting your pot. 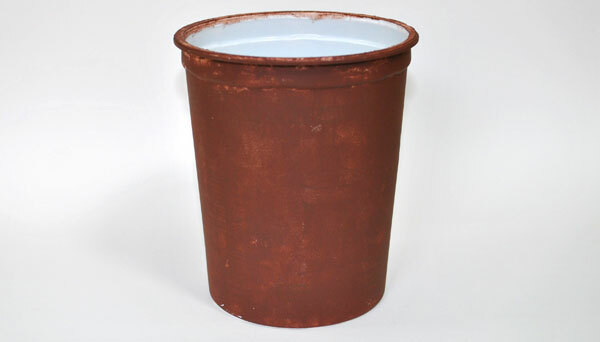 I used a brown acrylic paint and gave my pot a few coats dotting rather than brushing it on. As you can see you don’t have to be too fussy about getting everything covered up. 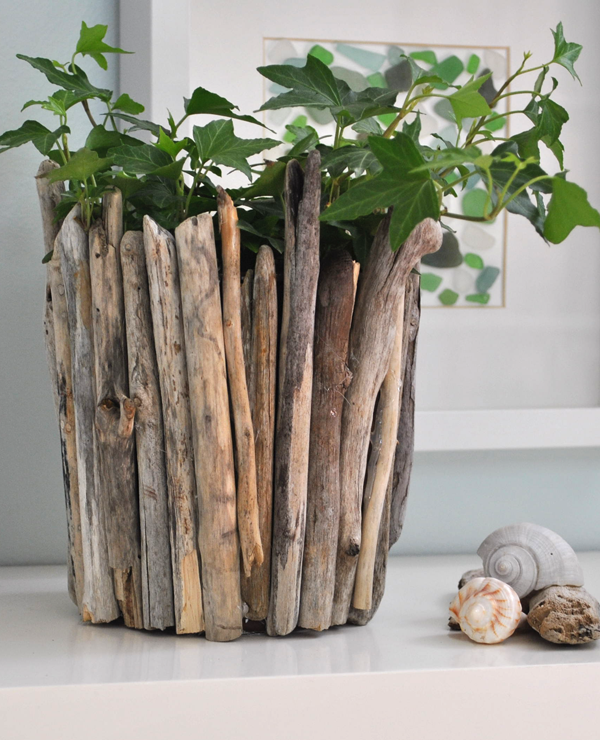 Sort out driftwood pieces slightly taller than your pot. You can use a little hacksaw to trim them up a bit if your pieces are too long. Then simply glue them onto your pot working your way around. 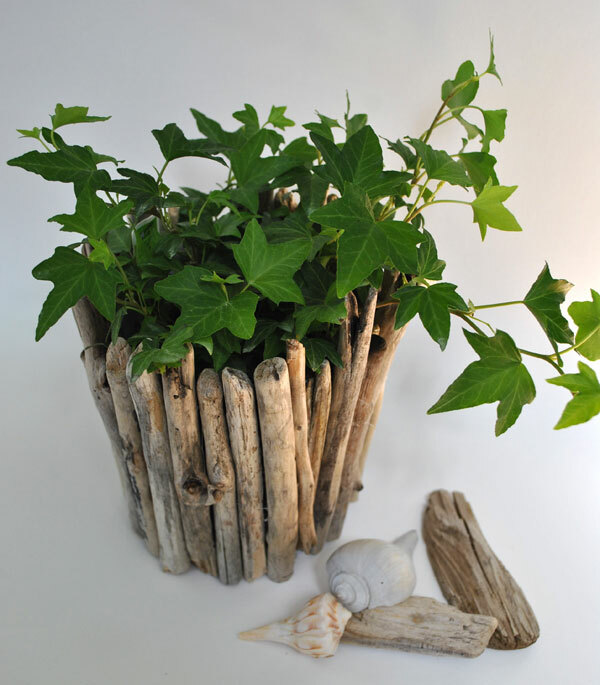 Then plop a pretty green house plant in and hey presto, a beautiful driftwood pot. 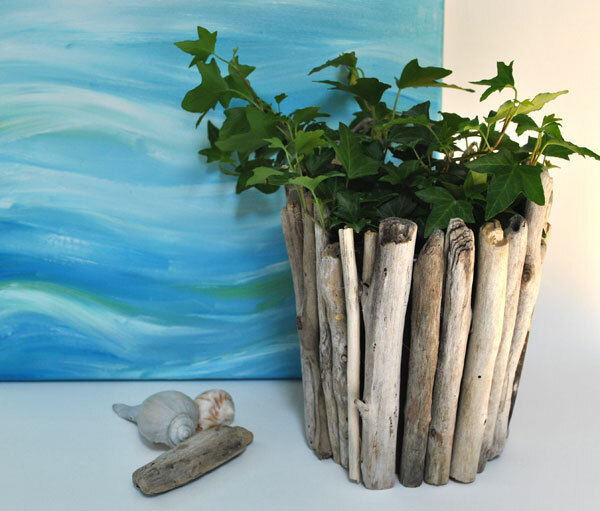 This entry was posted in Art, Art Tutorials, Coastal Crafts, Coastal Decor, Craft Projects, Decorative Accents, Home Decor, Trash to Treasure, Wood and tagged budget, coastaldecor, driftwood, garden. Bookmark the permalink.